It has been a pleasure working with David S. Wolloch (Dave). In mid-July this year, we met with several real estate professionals including Dave who stood out with his 30 years of real estate experiences and his down-to-earth attitude. Today, we are very happy to say that we have made the best decision in our life to list our property with Dave. Dave did not beat around the bush; Dave told us what we should know based on his remarkable wealth of information about the local real estate market. Besides being very knowledgeable in his field, Dave was very serious about protecting our interests financially and legally. He knew how to strategize and market our property aggressively and effectively. Throughout the entire marketing, contract and escrow process, Dave was on top of everything and kept in contact at all hours with the buyer’s agent, the city and the termite company to make sure nothing was blocking the escrow process. All along Dave communicated with us with patience and utmost honesty, advising us extensively of our options in simplified layman terms. After we moved to our new home out of state, Dave helped with the burden of maintaining our property before close of escrow. Dave’s loyalty to us, his clients, was above and beyond expectations. We could rest easy just because Dave worked extra hard in representing our best interests throughout the entire process. More importantly, Dave is a man of his word and we trust him completely. David S. Wolloch deserves a 5+ star rating and we highly recommend Dave to anyone who is looking to buy or sell real estate. – Joan & Art S.
After having a terrible experience with a nationally well known real estate firm that we hired to sell our home, my husband and I hired David Wolloch to, literally, pick up the pieces and regain our faith in what a professional real estate broker is hired for. Fortunately, before we put our house on the market I had recalled that a comparable house in our neighborhood had sold within three days of being on the market for the list price. I remembered that David Wolloch was the listing agent (Broker) and I figured that he must know what he´s doing to seal a deal so quickly and I called him for guidance. (Although going with the other agent first,) Within a couple days (after cancelling with our previous agent) we hired David with confidence which was an amazing turn of events since we were heading towards selling the house ourselves without the representation of any realtor. Dave managed to put us at ease immediately, which was a miracle since by the time we met Dave we were completely rattled and frustrated over the course of events which led us to Dave. Dave´s patience with our situation was unprecedented! Dave met with the ex-realtor to grab the baton and he put all parties at ease. Dave found himself in the role of mediator between us and the ex-realtor and within days he had our entire situation under control and in a positive mode going forward. Within the next six weeks (28 days, actually, and for a higher price than the previous failed transaction) Dave had a strong buyer for our home. Our house closed in a timely manner (a couple of days early!) and during the escrow I never worried about the deal going bust and Dave took care of all the details that a competent realtor should deal with without hesitation. Dave also allowed us to remain hands-on which was a huge issue for us. Dave´s mantra was: Communication, communication, communication! We were NEVER in the dark with Dave. We were constantly made aware of every single detail going on with the sale of the house. I highly recommend David Wolloch for anyone´s real estate needs! He has proven himself a highly competent professional that allows the person/s entering one of the biggest financial decisions of their life the ability to relax and know they´re in good hands. – Trish & Denis F.
With Dave’s knowledge of the market and how he presented the house, our house sold in two days with multiple offers. 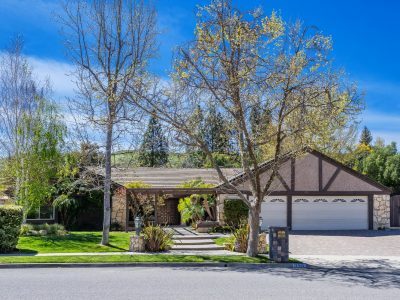 Escrow closed in fifteen days! Thank you Dave, you made this stressful situation easy and quick. We know we have a great “go-to realtor” and a new friend. – Debbie & Bryan P.
As I’ve been reading through the various reviews about Dave and his expertise, I am truly at a loss for words. Everyone has so eloquently expressed their interactions with Dave. I really don’t know how to add to this because they are so so spot on. I met with Dave within a week before I had major surgery. As I spent a month in rehab at St. John’s, Dave managed to elicit multiple offers on my townhouse with an above listing sale and take me through a fairly short escrow. He took care of any minor problems that arose and enabled me to e sign any documents from my hospital bed. He is truly amazing! And this is an understatement!! I was well represented many times over. Thank you Dave for being my realtor and becoming my friend. Dave Wolloch was highly recommended to us, for which we continue to be immensely appreciative. I had the task of settling my Dad’s estate, after coming in from Upstate New York to Ventura and caring for him there for a period of time. Dave was the right person at the right time in our efforts to sell our home. He’s extremely knowledgeable, hardworking, scrupulously honest and a great communicator. Dave always seemed to be available to us when something came up, or if I had a question. Having a probate / estate situation added a certain degree of complexity to this effort, beyond your normal home sale. Dave was a pro, 100% reliable in steering me in the right direction. He’s also extremely proactive in getting things done on a timely basis, rather than sitting back & waiting for things to take their course I feel that I had a strong partner on my side, and advocate in achieving our goal…which we did. I wouldn’t hesitate to recommend Dave Wolloch to anyone buying or selling property in the area. He’s the best! Thanks, Dave. Dave is exceptional, in ALL ways. My husband and I recently completed the transactions of selling our previous house, and buying our new home. I almost want to do it all over again, so that we can work with Dave again 🙂 I can say, with absolute certainty, when we are ready to buy or sell, in the future, our first call will be to Dave. His professionalism, along with his open, and ongoing, communication style, are unmatched. We trusted Dave completely. When we were unclear, or uncertain, we knew that Dave was already on it, and was able to bring about results quickly. Before our sale was finalized, my husband and I were scheduled to take a vacation, and would be out of town for almost two weeks. We didn’t hesitate, knowing Dave “had it”, and we could relax and enjoy. Which we did. Dave “had it”, and “got the deal done”. If you are reading this, I want to STRONGLY, recommend you use DAVE WOLLOCH for your buying and selling needs. Don’t regret later, that you went with someone else. With DAVE, you will feel confident that you made the right decision. He will exceed your expectations, in every way. I was extremely fortunate to have Dave Wolloch as my broker. From our first meeting, I was impressed with Dave’s professional presentation, knowledge and expertise, which extended through his handling of the various stages of selling my [Victoria Estates] home and closing escrow. Dave kept me apprised of the day to day events, gave me suggestions and options, and went over and above to take care of details that I didn’t have to worry about. I was never left wondering about the status of my sale or what to do. As a very busy attorney, all of these factors were extremely important to me. I represent my clients aggressively, and relied on Dave to do the same for me. I always believed Dave Wolloch gave 110% in representing my interests through the successful completion of the sale of my home. I wholeheartedly recommend Dave Wolloch, as there really is a difference! We first met Dave when we were interested in a property he was listing in March 2015. As a buyer, that property did not work out for us. Nevertheless, we were extremely impressed with our transaction with Dave during that time. Three months later, in June, when we needed a PROFESSIONAL real estate broker, we called DAVE WOLLOCH! It was a bank-owned property; therefore, the process was challenging. Dave was SUCCESSFUL in the purchase/closing of this foreclosed property by September! And because we TRUSTED Dave, we let him list, sold, & closed our other home in September as well! Very impressive, indeed! We APPRECIATE all the steps that Dave took to purchase our home and sold another for us. We started the home purchase process around April 2017. Dave referred us to Fred Gruber, Loan Officer, whom we also enjoyed working with. Dave was patient until everything was sorted out with Fred, regarding our Home Loan. We stopped house hunting for about 2-3 months, yet, Dave always kept in touch. Dave was looking for our best interested and was great at explaining everything to my husband and I. As first time home buyers, Dave explained everything about the home purchase process and answered all our questions. He advocated for us at all times, was great at communicating and he made it a fun experience as he has an incredible sense of humor! When we were in a contract with a home in Santa Paula, in mid-September, Dave was proactive in communicating between the Seller’s Agent, our Home Inspection Contractor, the Plumbing Specialist, Santa Paula [Building & Safety], etc. Dave spent days, nights and weekends talking with us and giving us continuous updates. I cannot express how important communication is during a home purchase, and Dave was always on top of it! Our first home purchase was a dream that became a reality in mid-October. It was an amazing experience, if we could do it again, I would chose Dave again. He was thorough, explained everything throughout the process, answered all our questions, was detail oriented and was personable. Dave deserves more than a 5-star rating, but 5-star is the max. Thank you Dave for your time, patience and care. You will always hold a special place in our hearts and we hope that we continue to stay in touch. Gracias! Dave did an amazing job of marketing and quickly selling my mother’s house. He kept us fully informed during the whole process. We were amazed at his attention to detail and his integrity in handling this sale. I highly recommend him. Dave Wolloch is a real-deal five-star real estate broker gifted with great people skills, supreme technical competence, and honorable character. Dave guided me and gently bulldozed less-competent agents so I could sequentially buy a condo at a good price and sell my house at a good price, all in less than five months effort from start to close. He diligently executes his service pledge and kept me very informed of progress and issues. He intercepted problems and, if he couldn’t solve them before they got to me, he provided solid advice and options about them to me. Dave is a pleasure to work with. I have been more than pleased with the service and results that Dave provided to me. Dave Wolloch was everything we needed in a Realtor. Every step of the way he explained the process and went above and beyond by being available and patient with our questions, whether by phone, e-mail, or text. Dave was never pushy or demanding, and always made sure we knew that it was our choice in how we wanted to handle details that were important to us. I can’t say enough about how much he made this process so much easier than I expected. Having grown up in a family of realtors, I knew that I needed the very best in the field! He was truly the best! Thank you Dave for taking such good care of us! Dave is an all-around 5 star Real Estate Broker. His diligence, expertise, and exceptional knowledge of the entire real estate sales process made for a successful, timely, and financially rewarding closure of the sale of our home. Dave was able to foresee potential problems and solve/deal with them before they became an issue. The response time to every correspondence whether telephone call or email was practically instantaneous. I can´t list enough accolades to express our gratitude for Dave´s handling the successful sale of our property. From the time we first contacted David Wolloch we had complete confidence in him and his knowledge of the ever changing market conditions as well as what buyers are looking for. Dave was very professional in his approach and very, very honest in what to expect in every step of this selling process. We appreciated his conservative approach and we closed much earlier than expected. From house for SALE to SOLD! Thank you Dave Wolloch. We are very thankful that you handled our sale. – Sarah & Joe P.
It’s been a real pleasure working with Dave Wolloch. I’ve worked with him on 2 real estate deals involving the purchase of a single family home….both transaction fitting my needs, wants and expectations. I honestly could not have done it without him. That is the Truth!!! Dave brings to the table a tremendous amount of skills, life experience, connections, and knowledge that I have not seen in the business world involving real estate transactions. As a Real Estate Accountant, I’ve run into smart real estate guys but nothing can compare them to him. Mr. Wolloch is clearly in a class of his own. His in depth understanding of contract law is something that every person seeking a realtor should consider amongst other things. His fortitude, problem solving, due diligence, efficiency, and wealth of information along with ability to simply and explain complex real estate jargon are all valuable tools to have at your side when closing a deal. I strongly suggest you utilize all the tools he has in arsenal when house hunting… he can set you up so that you phone or email is alerted when a home comes on the market with parameters that meet your criteria. Call him when all else fails…he was kind of enough to work with me at all hours…lots of times past 8:30 PM. Yeah…..I can’t say enough good and positive things about David…aside from knowing his stuff…he is an awesome and pleasurable guy to chat with…this is something you will find out for yourself from the time you meet him and begin your first step in obtaining your dream home. Dave Wolloch is a true professional. He facilitated the sale of my parents’ house and made it a quick and easy transaction. Less than two weeks after listing the house on the MLS, we had multiple offers. Better yet, the house sold for [above] the asking price. Dave’s guidance through the process was spot-on. I always knew where we were in the process because he provided regular updates. Any time I had a question, he would reply within a couple hours. If you are considering the sale or purchase of real estate, I wholeheartedly recommend Dave Wolloch. With Dave you get more than just an agent, you get an experienced broker that knows the industry, is a skilled negotiator on your behalf, that is honest, hard-working and capable. Dave, you are amazing! You have worked so hard on this and been so patient…and I have enjoyed every minute of working with you. Thank you, thank you, thank you. – Catherine & John G.
Dave, You did a terrific job. After so much time (on the market) with the first agent and not even an offer, we were amazed that you were able to get the house sold so quickly. We wish we went with you first. We also appreciate how you handled the inspection items for us with the other agent. It seemed like it would never end! We can´t believe how hard you fought for us. Thank you! – William & Carla L.
Dear Dave, I want to thank you for all that you did to get my house sold. Although I hated to part with it, it was by far the wisest course of action for me. Your kindness and understanding really helped me and it goes without saying (but I´m saying it anyway) that the house would still be on the market if it had not been for your tact and diligence in dealing with all the facets of the sale. Thank you so much for making this happen for me. – Juanita & Henry M.
Mike and I can’t wait to use your services again. When we first used your services, we were buying one house and had to sell the house we were living in. You were so patient in taking us around from house to house until we found the one that we wanted. We were probably one of your more difficult clients in terms of our needs, but you were able to find us the perfect house. Once we found it, you sold our house within the week and everything was able to close one month later. Everything went so smooth that we became totally spoiled. We always appreciated your expertise in the real estate business and knew you were the top person to go to, but we never realized how few truly great realtors there are until our move a few years ago. I know that anyone who chooses to use your services will be very glad they did! – Carol & Mike F.
Dave was great! He helped us buy our first house and guided us through the process like he was a member of the family. We couldn’t have had a better experience! It felt like he was looking out for us every step of the way and we couldn’t have done it without him. We feel totally confident in referring him to any friends or family looking for an outstanding agent. – Andy & Cecilia K.
Hi Dave, Thanks for all your help!! We want you to know that we really appreciate your professionalism that made the transaction very easy. I think this property is a good fit for our family. Thanks again! – Francisca & Francisco C.
THE ABOVE REVIEWS & TESTIMONIALS ARE REAL CLIENT REVIEWS RECEIVED EITHER DIRECTLY, OR SUBMITTED BY CLIENTS ON ONE OF MANY REVIEW SITES, INCLUDING THOSE SHOWN BELOW. LAST NAMES ARE OMITTED FOR PRIVACY.